Pianist Nadine Shank made her concert debut at age 15 with the World Youth Orchestra of Interlochen as winner of their prestigious concerto competition. She was an award winner in the MTNA, Mason and Hamlin, and National Federation of Music Clubs competitions. Ms. Shank earned degrees at the Oberlin Conservatory, receiving the Rudolph Serkin Piano Award and the Pi Kappa Lambda Piano Prize, and at Indiana University (Bloomington) where she performed with the University Philharmonic as winner of their Concerto Competition. Her teachers have included Menahem Pressler, Karen Shaw, Sanford Margolis and John Wustman. 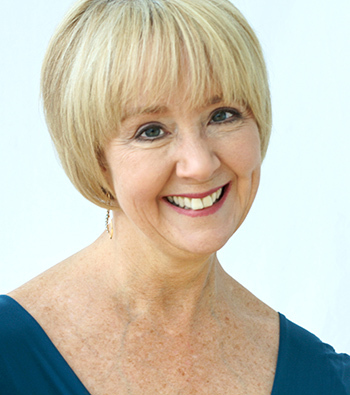 Nadine Shank has performed at such prestigious venues as the Phillips Collection, Washington, D.C.; Jordan Hall and the Tsang Performance Center, Boston, Weill Recital Hall, Merkin Hall, and the 92nd Street Y, New York City; the Cleveland Orchestra's Blossom Chamber Festival; and the Monadnock Festival, New Hampshire. She has appeared in Festivals in Germany, England, Holland and the Virgin Islands. In a duo with violinist Charles Treger for over 10 years, she has performed extensively and has toured in the United States and Poland playing the cycle of Sonatas for Violin and Piano by Beethoven. She has performed in concert with the Lark String Quartet and soloed in Gershwin's Rhapsody in Bluewith the West Point Academy Military Band on their Summer Music Series. Ms. Shank's performances have been recorded on the CRI, Gaspari, MRS, New World, Spectrum, Albany, and YAL (Nadine Shank Performs Sonata No. 2 by Yusef Lateef) labels. For Centaur, she recorded American-Jewish Art Songs and I Have Taken an Oath To Remember: Art Songs of the Holocaust with soprano Paulina Stark and on the Open Loop label, Shank and saxophonist Lynn Klock recorded three CDs. She has recorded numerous "Play-Along" CDs of saxophone and clarinet literature for Open Loop. Ms. Shank is the Principal Orchestral Pianist with the Springfield Symphony Orchestra (Massachusetts), and is Professor of Music in Piano and Director of the Piano and Collaborative Piano Programs at the University of Massachusetts at Amherst.